The demonetization of ₹. 500 and ₹. 1000 notes have made long chains outside ATMs. If you are watching for ways to find an ATM with cash near you. Here's the way to rescue you. The cash crisis has led many organizations and individuals to come up with tools to help you find the answer to the question on everyone’s mind - where’s the nearest ATM with cash? Although some of these tools help you find working ATM with cash near you, others even tell you how long the ATM queues are. 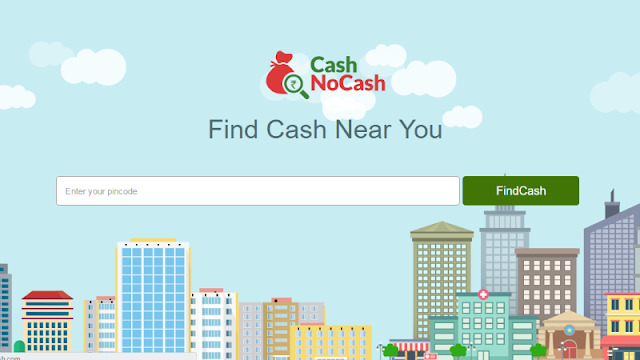 Cash No Cash or Cashnocash.com, launched by Quikr and NASSCOM, is a website that presents you information about ATMs with cash in your vicinity based on your Pincode. Type your Pincode in the search box and hit the Find Cash button to find which ATMs are still working and have cash. Cash No Cash will highlight the ATMs containing cash in green pins, the ones with long wait time in orange, and out-of-cash ATMs in red. CMS Infosystems is a firm that manages 55,000 ATMs across the country. It has set up an ATM finder tool that presents information on operating ATMs; you can select any city and find out if nearby ATMs have cash or no cash. This is limited to only the 55,000 CMS ATMs, but it has the advantage of producing accurate information, right from the company that operates these ATMs. Walnut, a personal finance management app, lets you find ATMs including cash in your area. The app has nearly 2 million users and tracks when they withdraw cash from an ATM. Based on this data, it can tell you if the ATM has cash or no cash; the user base also shares details such as the length of the queue with Walnut, presenting the app with more data to assist to other users looking for cash. The company says it plans to add information regarding the availability of specific notes at ATMs in the next update. While the above-mentioned tools will inform you whether a nearby ATM has cash or no cash, if you are looking only for tools that clarify : “where is the closest ATM near me?”, there are a few other options as well. Google Maps has long had a feature that allows you find ATMs in your proximity; just tap on the search bar in the app and the interface shows options like restaurants, gas stations, and ATMs. Just tap on the ‘ATMs’ option and you will get a list of ATMs nearby. The company has integrated the same functionality on its home page as well. 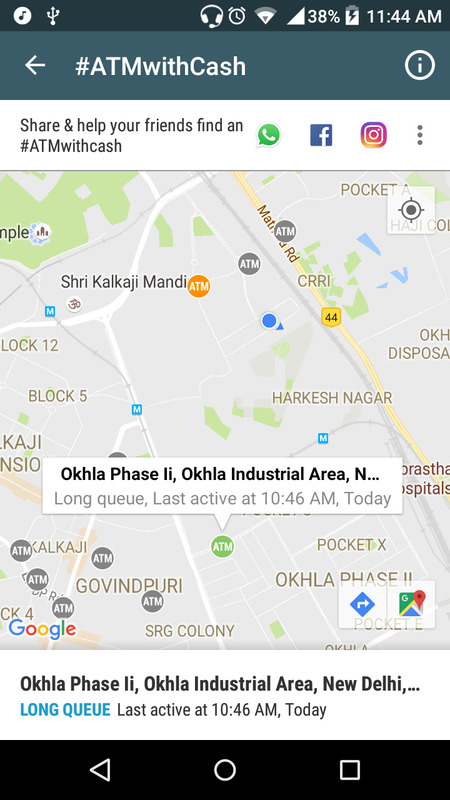 Google.co.in now shows the ‘Find an ATM near you’ button below the search bar; tapping the link takes you to Google Maps, which shows you the ATMs around you, based on the location. However, Google Maps and Search do not show if any ATM close to you has cash or not.